Takecare of my Samsung i8? I've bought myself some new gadgets lately! 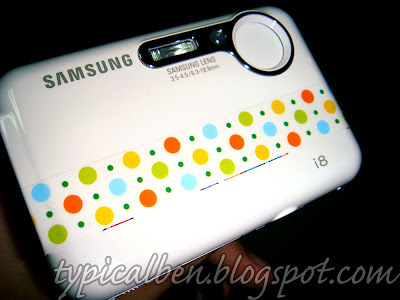 I'll blog more about the gadgets I bought the next entry but for now I need someone to takecare for me my Samsung i8! It's only less than 5 months old! I'm selling it at $200 cause it's really new and in good condition, with screen protector from Day 1! I didn't even drop it before at all also! Comes with the full package with ONE MORE EXTRA Original Battery (I always think it's important to have 2 battery cause in case the battery suddenly went flat when you're out then die)! More specifications of the camera here.